The bank appraisal and real estate appraisal are both important parts in the real estate process. They’re like apples and oranges – same same but different! This blog compares the bank appraisal vs real estate appraisal and goes through each of their purposes and their differences. We also highlight on what to do in the case a bank appraisal comes in lower, and how to handle that scenario. For everything you need to know about bank appraisal vs real estate appraisal, read below! The purpose of a real estate appraisal is to evaluate the market value of your home to prepare it for sale. A real estate appraisal would happen before you put your home on the market. 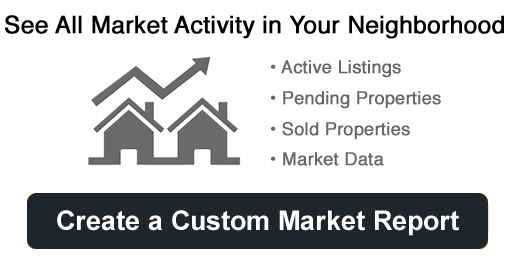 If you are getting a realtor appraisal, also known as a competitive market evaluation or CMA, a realtor will come to evaluate your home and provide you both active, withdrawn, expired and sold comparables to come up with a market value and listing strategy. A real estate appraisal will include a listing strategy, whereas a bank appraisal will not. During this process, the realtor will often also go over their marketing plan for their home, set expectations on the listing process, and answer any questions you have. This can take anywhere between 20 minutes to 3 hours depending on how many questions you have. An appraiser hired by the lender performs a bank appraisal as part of the loan approval process. In most cases, a 3rd party home appraiser will come to inspect and confirm the general condition of the home and documentation of features, information, strata details (if applicable) and other details. This is typically done during the subject removal period, or when you apply to get financing on your home purchase. The appraiser is not a realtor, and will not provide a listing strategy. However, in determining the appraisal they will use a variety of tools such as the Multiple Listing Service to determine if the price that your purchased at is fair market value. The bank appraisal is oftentimes more conservative than a real estate appraisal, as the appraiser will often choose to err on the side of caution. The appraiser will then write a report and send it back to the lender. In most cases, in order to obtain financing your appraisal report will need to pass as fair market value. If it does not, you may be required to make up the difference between the appraisal’s market value and the price you purchased the home for. When do lenders require an appraisal? Most lenders will require a bank appraisal if you are putting more than 20% down on your purchase. If you are putting less than 20% down on your purchase, then most lenders will not require an appraisal but will require CMHC or an insurer to approve the purchase. Why do lenders want a bank appraisal? As a buyer that requires a mortgage to purchase a home, the lender essentially becomes your co-purchaser upon completing on the home. Because of the risks, the lender’s consent is required and the appraisal works as their confirmation that you are investing in the property at fair market value and not overpaying. For the lender, the appraisal ensures that their investment is sound and that the home is worth the price you. What do I do if my bank appraisal comes in lower than my purchase price? Make up the difference: You may have to make up the difference between the two in cash in order for the lender to continue with financing your purchase. Find a new lender: You can try to find a new lender that will work with financing the purchase regardless of the appraisal. Lenders come in all shapes and sizes, so you may have the option to shop around. Get a new appraisal: If you have time, hire a new appraiser to see if the numbers come back different. Opinions on market value vary depending on who you talk to – and it could be that you got a very conservative appraiser. Walk away from the deal: If you’re not able to come up with the funds and the appraisal is way off then you’ll likely need to walk away from the purchase. If the appraisal is extremely low, then you likely overpaid and will want to walk away anyways. How do I prevent a low bank appraisal? Many of the people that often have low bank appraisals on a property they are purchasing are not working with a realtor or are working with the wrong realtor. Having Michael Cowling & Associates representing you means you can be sure that you are paying a fair price for your home. While appraisal amounts can vary and depend on who is appraising the property, most appraisals will be within 5% of true market value. If your appraisal was way off, then you’ll want proper representation with someone who understands the market, and specifically, the marketplace you are in. Are you looking to buy or sell property? If you’d like, we can have a real estate expert show you the most efficient process that saves you thousands of dollars, a lot of time, with little or no inconvenience to you. Contact us today! What Factors Influence a Property’s Value?